The Swedish-American Chamber of Commerce New England (SACC-NE) is a non-profit trade organization founded in 1998. Our mission is to accelerate trade, commerce, investment relationships and promote entrepreneurship, innovation and business opportunities between Sweden and the New England region. Since our founding year, we have grown to become the leading Swedish-American business network in the region with a reach of over 500 businesses, professionals, and students. The chamber is located in Boston, home to the largest entrepreneurial and investor community on the U.S. East Coast and a world-leading innovation center with close affiliations to renowned universities such as Harvard University and Massachusetts Institute of Technology (MIT). At SACC New England, we work to foster a community of success. Our professional events place members in front of dynamic business leaders, politicians, and researchers. Our network hosts exceptional people that are always willing to help each other succeed. We celebrate Swedish-American heritage through our cultural events, including Christmas Dinner, Vasaloppet Ski Race, Midsummer Festivities, Crayfish Party. 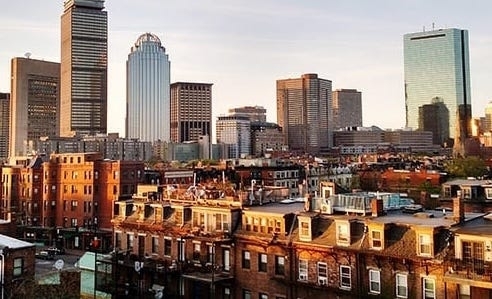 New England is a geographical region in the northeastern part of the United States and compromises 6 states: Connecticut, Maine, Massachusetts, New Hampshire, Rhode Island and Vermont. The region has historically been important for trade and industrial manufacturing but in since the mid 20th century the economic growth mainly comes from the high technology industry, health services, military defense industry and finance. Boston is the largest city in New England and is located on the Atlantic Coast in Massachusetts. The city is sometimes called the Stockholm of America because of it’s walkable streets compared to many cities in America, the seasons and “European feel” of the city. Boston and Cambridge are mostly known for the very well know Universities in the area. The SACC New England staff manages the day-to-day running of the chamber and is in charge of business programs, events, marketing, as well as the recruitment and retention of members. The SACC-NE ACCELERATE Internship Program was established in 2018 and serves to give international business students, pursuing a degree at a Greater Boston Area learning institution, an opportunity to partake in a part-time, condensed 3 month internship experience at the Chamber. The Internship offers opportunities to excel in areas such as External Relations, Business Development, Finance, Marketing, Operations as well as Project Management. SACC-NE is starting weekly Office Hours, in an effort to provide you with the opportunity to meet with our team at SACC-NE headquarters in the heart of Downtown Boston. The purpose of these meetings can range from getting to know each other to discussing initiatives and projects for the Chamber to pursue.